Easter has always been one of my favorite holidays. It’s such a low-pressure holiday. Sure, you buy some cute gifts to put in the basket and you get together with families, but it doesn’t have the overwhelming feeling that, say, Christmas, carries. Plus I just love the symbolism of rebirth, how it heralds the arrival of spring. Although it’s late this year, so I hope that doesn’t mean spring will be arriving late too! My son’s Easter basket is typically filled with books and movies. He’s not a big candy eater. Besides, I’d rather not contribute to childhood obesity by loading him up with sweets. 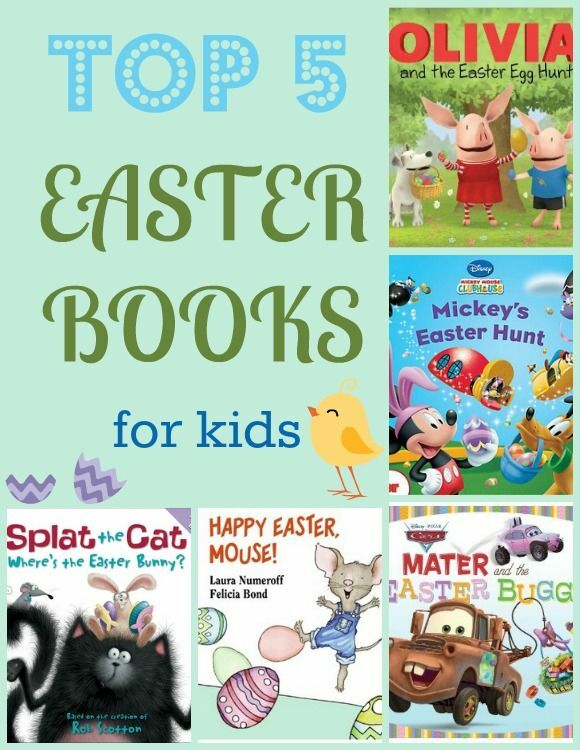 Books are such a great Easter gift for kids, don’t you think? While I include a variety of books, it’s always fun to toss in one on the actual holiday. On the list of Easter books for kids, I’ve chosen non-secular ones that can be enjoyed by everyone. 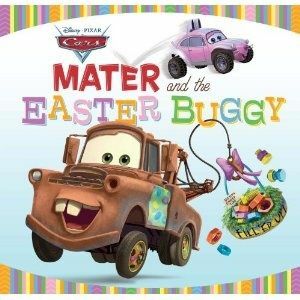 Mater and the Easter Buggy (Disney/Pixar Cars) : Mater is super excited about the arrival of Easter in Radiator Springs! He’s hoping the Easter Buggy (yes, Buggy) will fill his tire with goodies like lugnuts and coolant! Lightning McQueen is a doubter, though, and worries that Mater will be sad when the Easter Buggy fails to show. So he hatches a plan to make sure Mater has the best possible Easter! Great story about friendship! 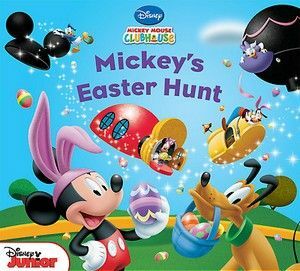 Mickey’s Easter Hunt (Mickey Mouse Clubhouse) : Grumpy Pete tries to sneak into the clubhouse, but he says the wrong magic word! Even worse, the word he uses has the power to completely destroy the clubhouse. Mickey and the gang have to work together to put it back up before Easter! Comes with reusable clubhouse stickers to reassemble the clubhouse on the last page. Happy Easter, Mouse! 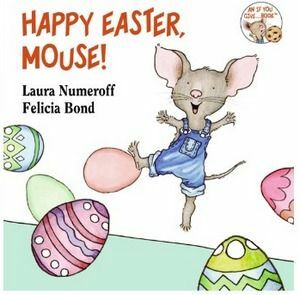 (If You Give…) : Do your kids love “If You Give a Mouse a Cookie”? If so, they’re going to really enjoy helping Mouse figure out who has been leaving eggs all over his house! This is such a cute story for preschool kids! 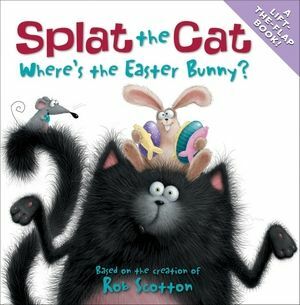 Splat the Cat: Where’s the Easter Bunny? : My son has always loved Splat the Cat! Join him on an adventure to find out where the Easter Bunny is in this cute lift-the-flaps adventure. Splat needs to find him to let him know what he wants in his basket! 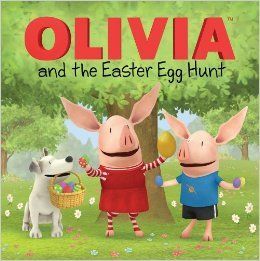 OLIVIA and the Easter Egg Hunt (Olivia TV Tie-in) :: Olivia and her family are celebrating Easter by heading to the big town Easter Egg hunt! The prize? A beautiful golden egg! Everyone will have to complete some fun, silly tasks to finish first! My daughter would love the Mickey one or the Mouse book. Those are her favorite characters. She loves the Give a mouse series. My youngest son would like to find the Mater or Mickey books in his Easter basket. I’m so glad that he loves books so much. I loved themed books for holidays! It is fun to give to my nieces and nephews for holidays!! Looks like a good list of books! Kelsey Apley recently posted..Check Out This Adorable Name Banner I Made For My Niece! Love these books. I need to get the Mater one and the Micky Mouse Club house ones for my boys. They would love them.